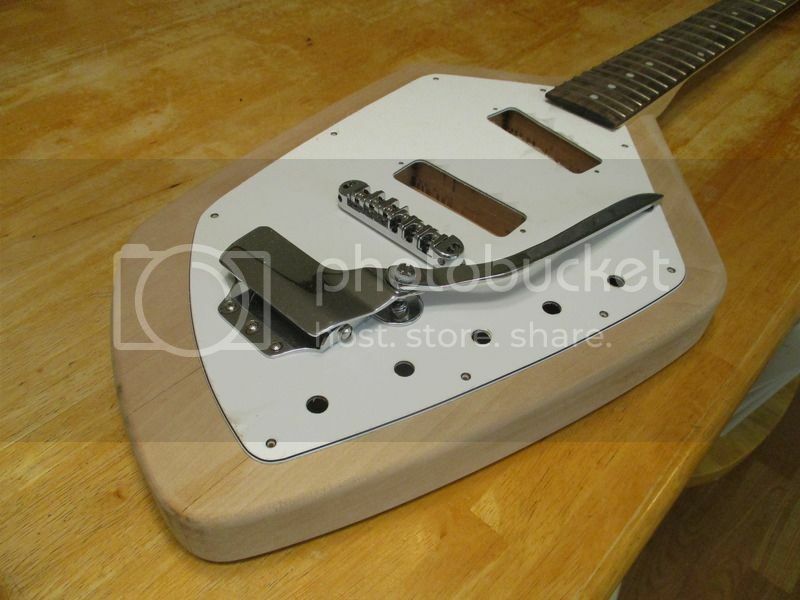 ShortScale :: View topic - Univox, Teisco, GFS Phantom Copy Project Finished. Univox, Teisco, GFS Phantom Copy Project Finished. 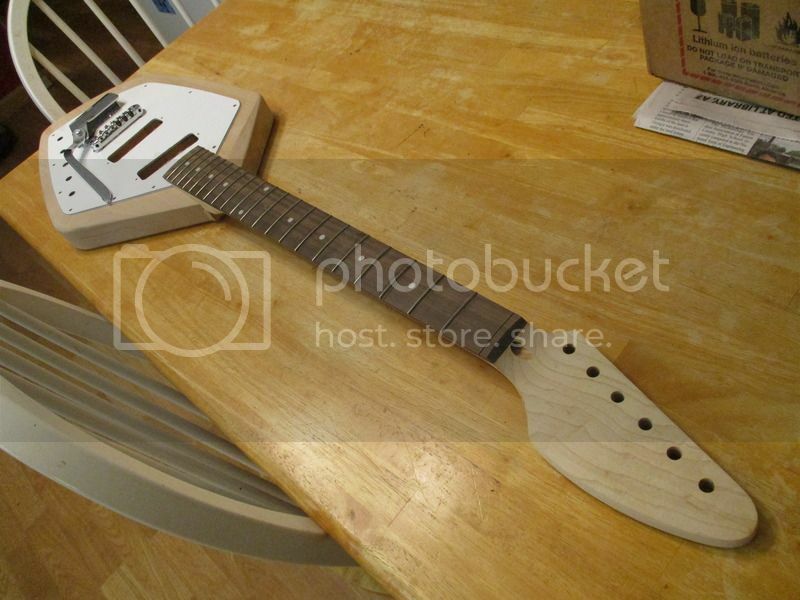 Posted: Tue Jun 16, 2015 10:38 am Post subject: Univox, Teisco, GFS Phantom Copy Project Finished. Started this one recently. 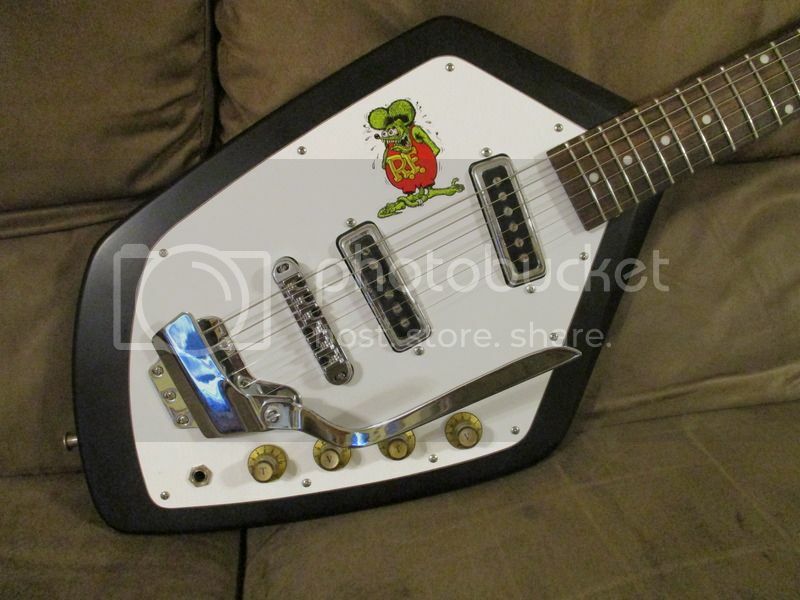 Vox Phantom style body, vintage 60's Teisco pickups, roller bridge, Univox "Gimme" knobs and strap buttons. The neck was one of the unfretted, unradiused necks the GFS was blowing out. I put a 7.25" radius on it and fretted it. Unfortunately I don't think the horseshoe trem is going to work. The break angle may be too steep for the bridge. Nice! 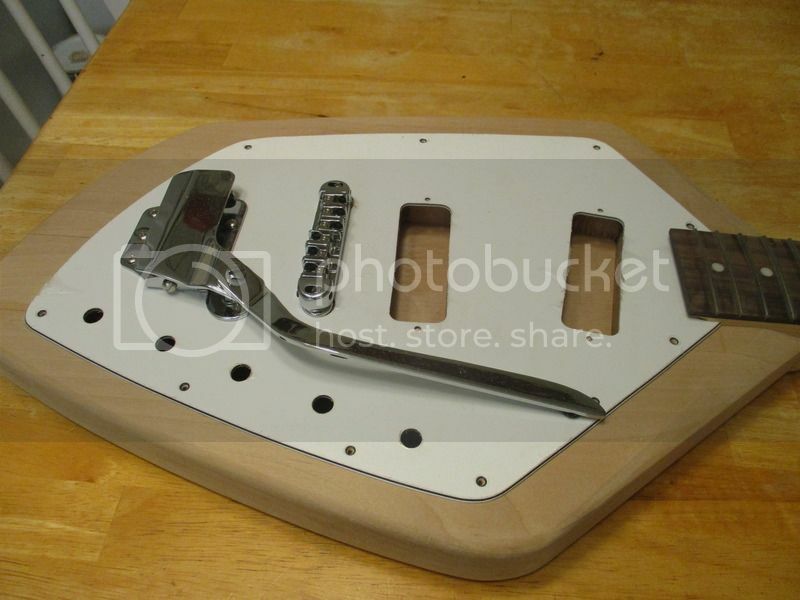 A jag trem would look cool on that - especially if you could get a different shape plate for it. 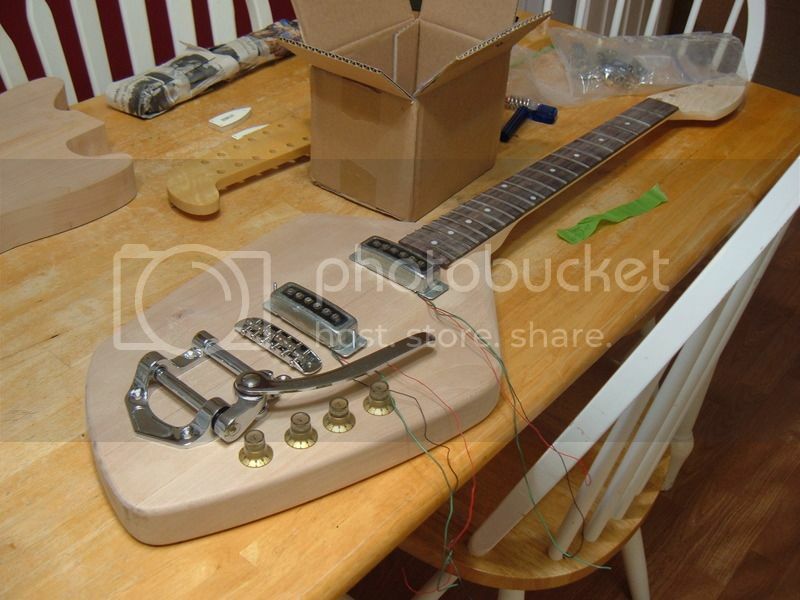 What are you going to do with the pickups, route holes for them? 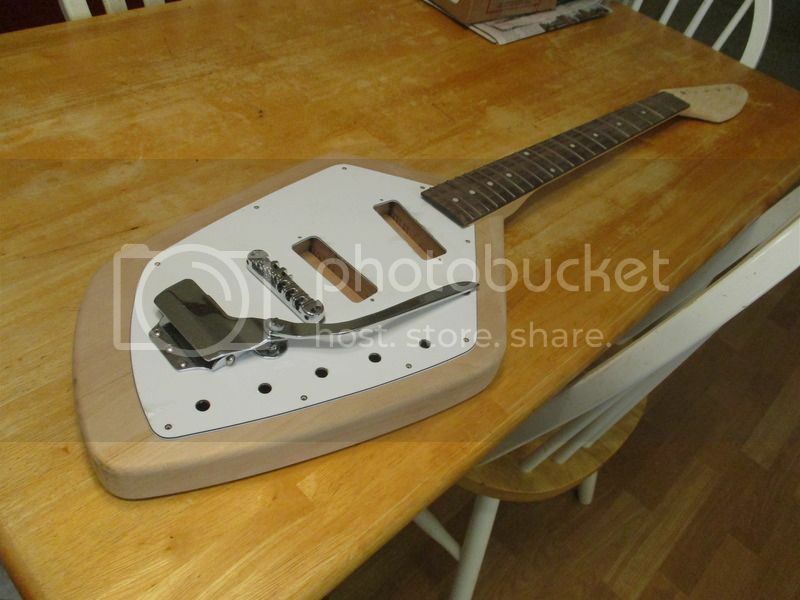 Yeah, I'll figure out my routes and then make a pickguard for it. Seeing Christopher's Phantom Project made me want to resurrect my boat paddle build. The pickguard is made now. 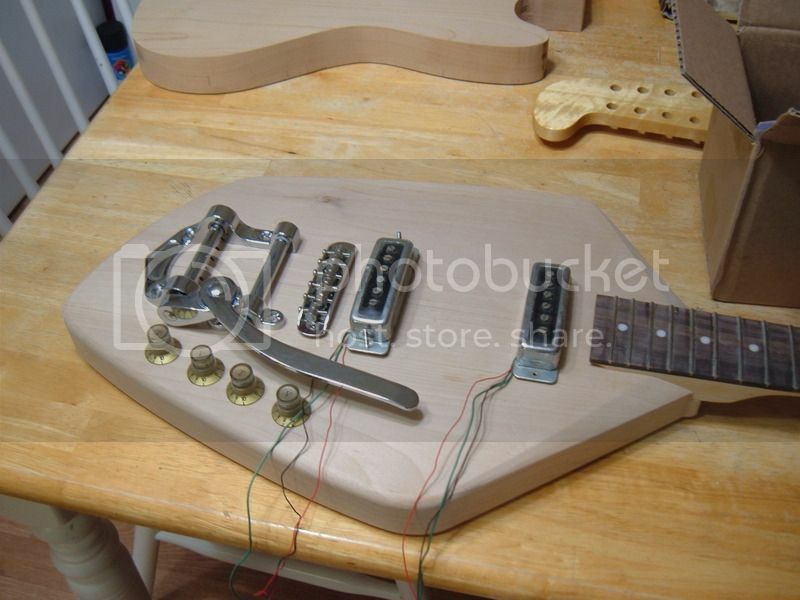 I wound up losing the bigsby because I wasn't happy with the break angle on the strings. than a true Vox Phantom. So cool. Your work is the best, always check this part of the forum to keep up on your projects. Thanks. I appreciate the encouragement. Just wish I had more time to work on guitars. Life's been really busy for me lately. Thanks. And thanks for the inspiration I needed to get back on this one. Finished this one up. It only took a little over a year. Flat black paint and a hodgepodge of Teisco, Univox and GFS parts. 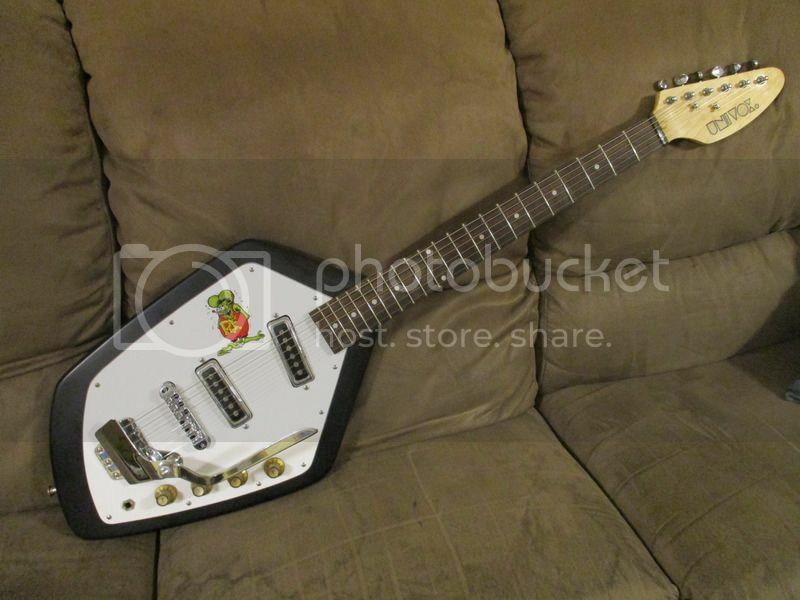 I threw a Univox decal on the headstock since I had one and Univox should have made a Phantom copy anyway. Rat Fink. Great job as always.